Eventides are locked to the master bus and are send effects only, so the WET is always at 100% and you have control over the send to that effect. You can drop the input signal independent of the send level by using the front panel VCA control if you want less dry. 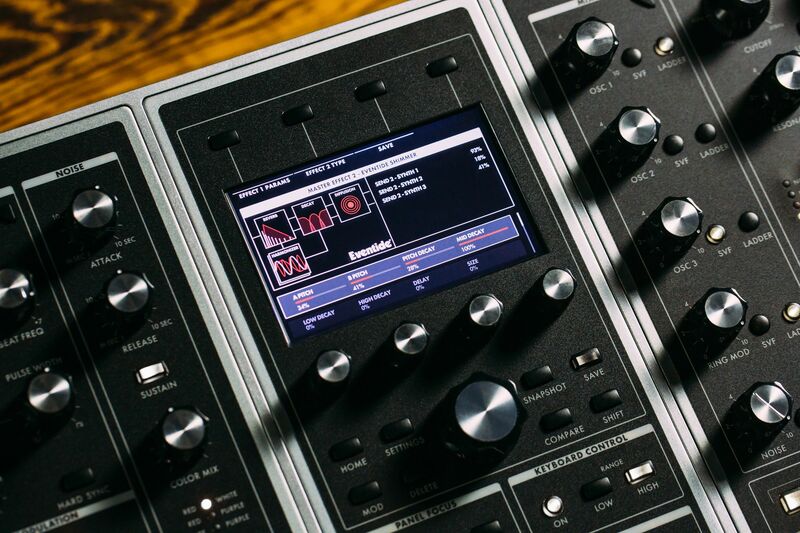 The CTL 1 and CTL 2 on the insert effects per timbre are modular and can be changed to control different specific parameters per insert effect, these can be set in the insert effect more page. Makes loads of sense – and it says something about the Moog One that things are set up the way you’d most likely want.